The following courses are eligible for SkillsFuture Credits if you are a Singaporean. Click on the following links to find out more. IMPORTANT: All Skillsfuture eligible online courses are hosted over at Udemy.com. 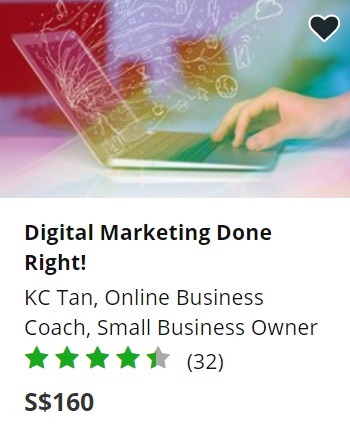 Once you have signed up, please login to udemy.com to watch the lessons and ask questions. The instructors will provide support there. 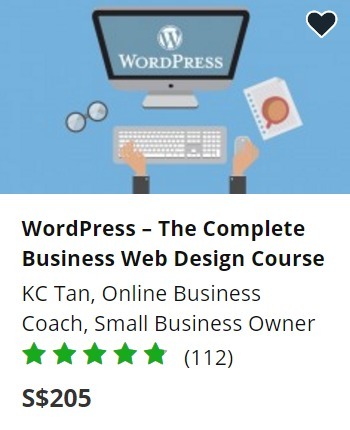 Click here to find out more or sign up this course for $100 only! Learn how to claim from your skillsfuture credits here! 2. Digital Marketing Done Right!